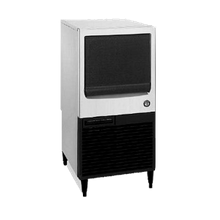 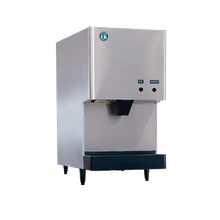 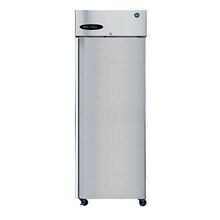 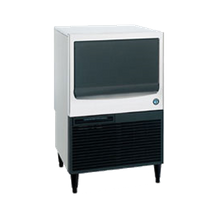 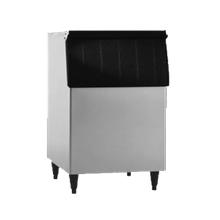 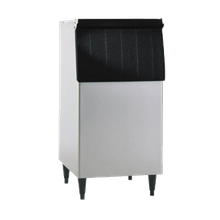 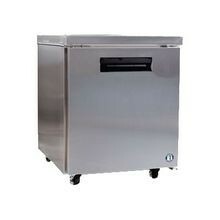 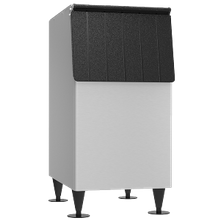 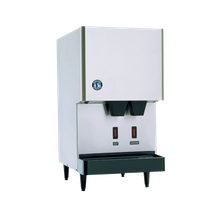 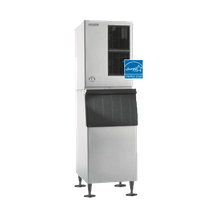 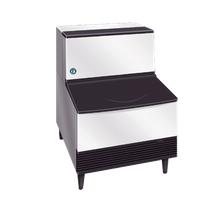 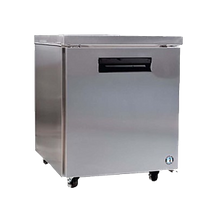 Hoshizaki AM-50BAE Ice Maker with Bin, Cube-Style, air-cooled, self-contained condenser, production capacity up to 55 lb/24 hours at 70/50, 22 lb. 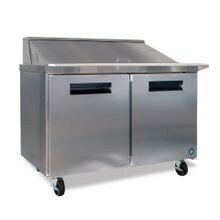 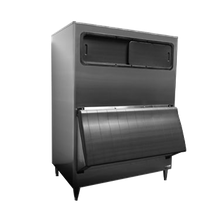 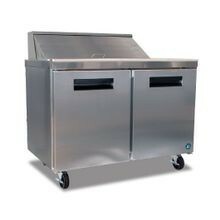 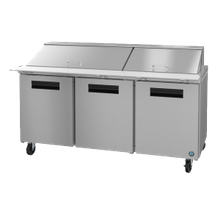 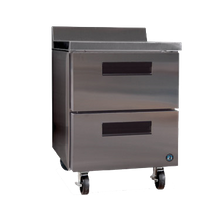 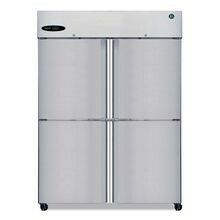 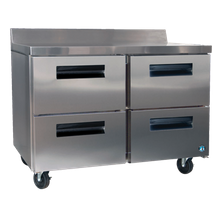 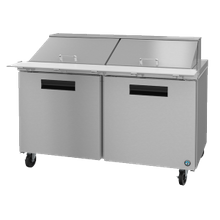 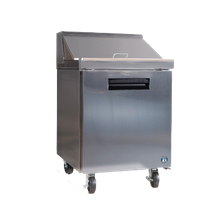 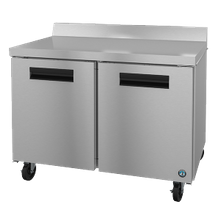 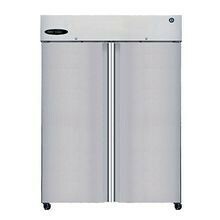 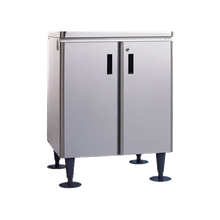 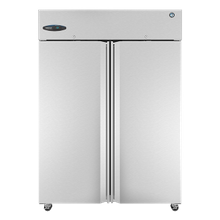 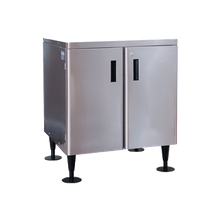 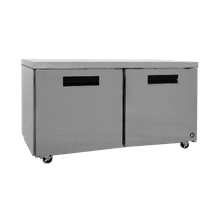 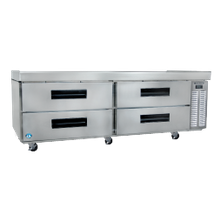 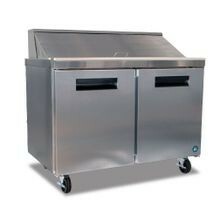 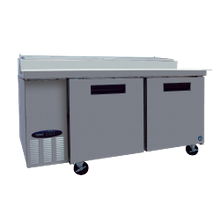 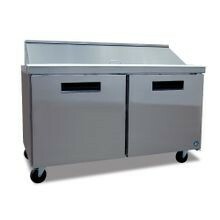 Hoshizaki CRES72 Commercial Series Refrigerated Equipment Stand, two section, 72-1/2"W x 33-1/4"D x 26"H, (4) drawers: each will accommodate (2) 12"
As one of the largest foodservice manufacturers in the world, Hoshizaki offers top-notch quality commercial ice machines and refrigeration equipment. 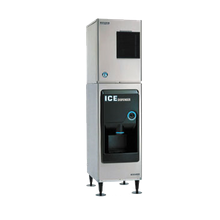 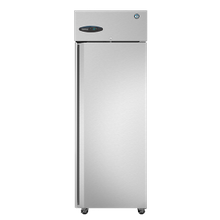 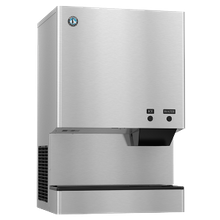 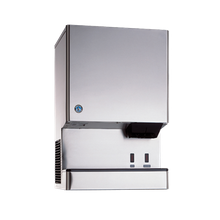 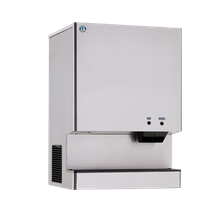 Their ice machines are like no other in the commercial refrigeration industry; Hoshizaki produces the hardest ice cubes on the market, with many units qualifying for Energy Star ratings. 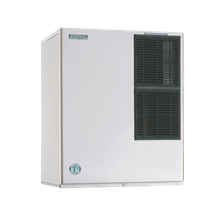 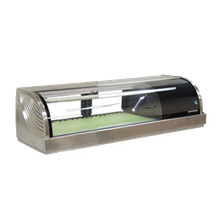 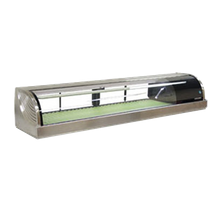 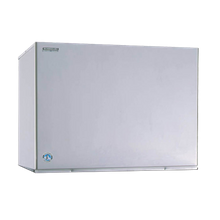 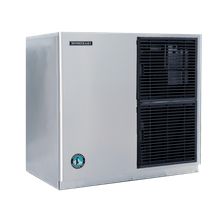 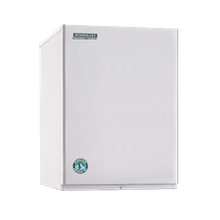 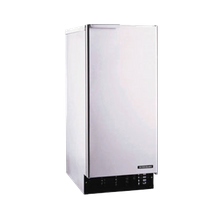 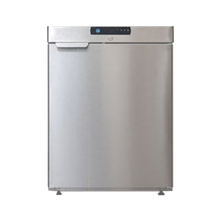 Their commercial refrigeration equipment features a stainless-steel interior and exterior, a consistent air flow design, which ensures that your entire unit is running efficiently, and a top-mount cooling systems that allows for a cleaner condenser coil. 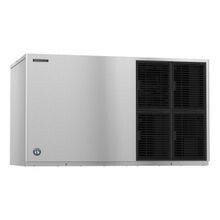 Located in Peachtree, Georgia, Hoshizaki's American-made products are extremely reliable and energy efficient.